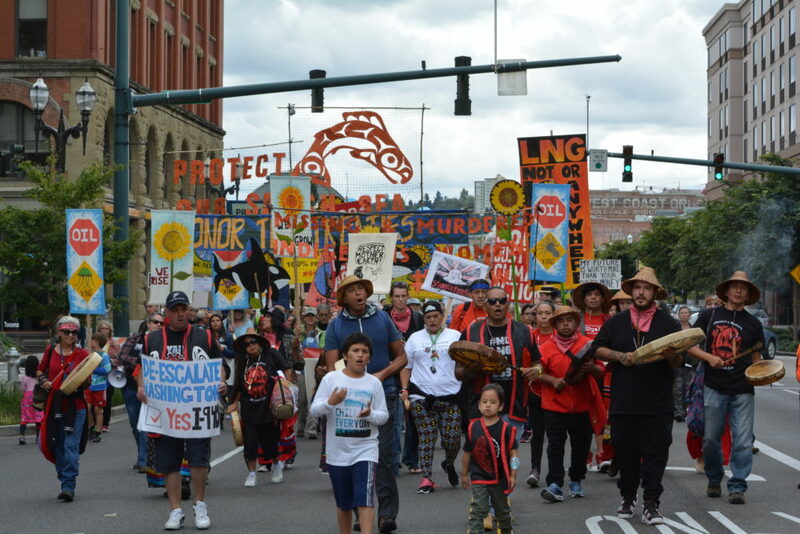 As the fossil fuel industry increases pressure to turn the Pacific Northwest into a fossil fuel hub, a Thin Green Line stands in its way. 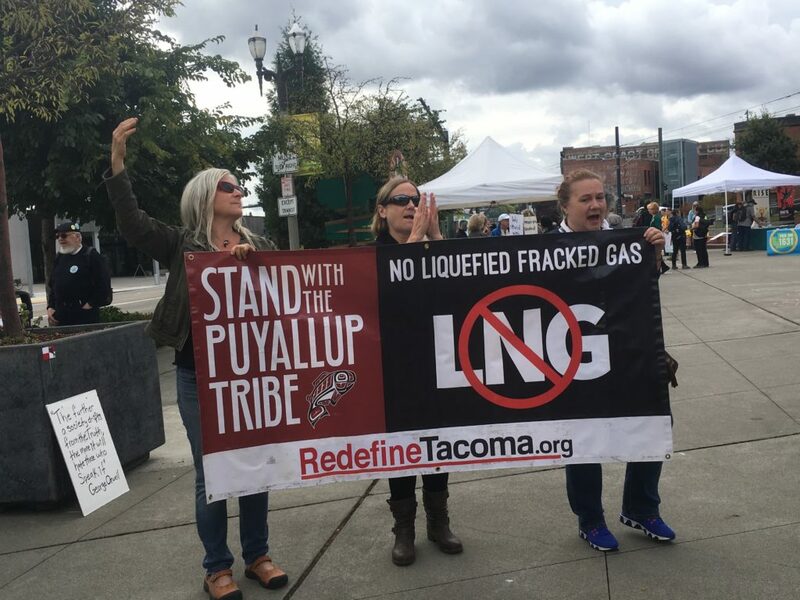 Now that communities across the region have stopped numerous coal and oil projects, the industry is pushing even harder to build a massive LNG hybrid facility at the Port of Tacoma and the world’s largest methanol refineries in Kalama, WA and Clatskanie, OR. 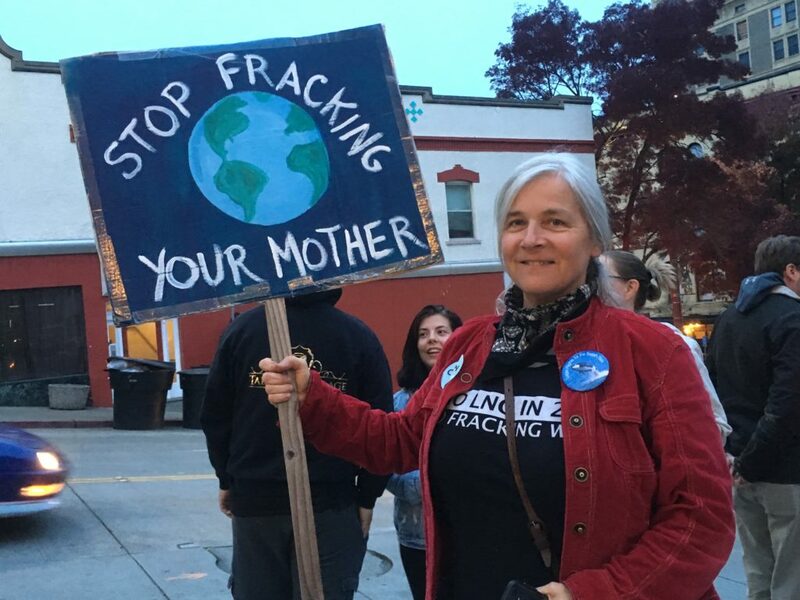 Brings together a diversity of voices including proponents of natural gas projects, who see it as a bridge fuel to the future, and opponents who believe that we need to transition swiftly to renewable energy solutions. 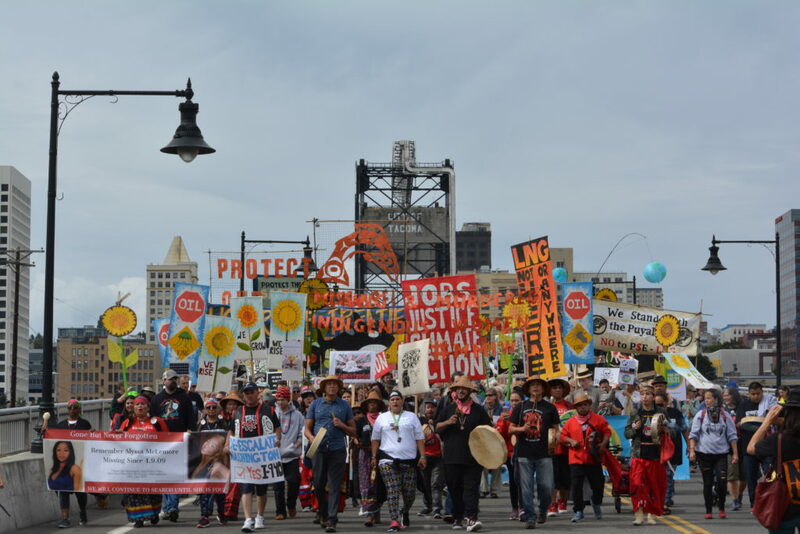 Provides a voice for climate activists and indigenous leaders waging a battle for environmental, social and climate justice. 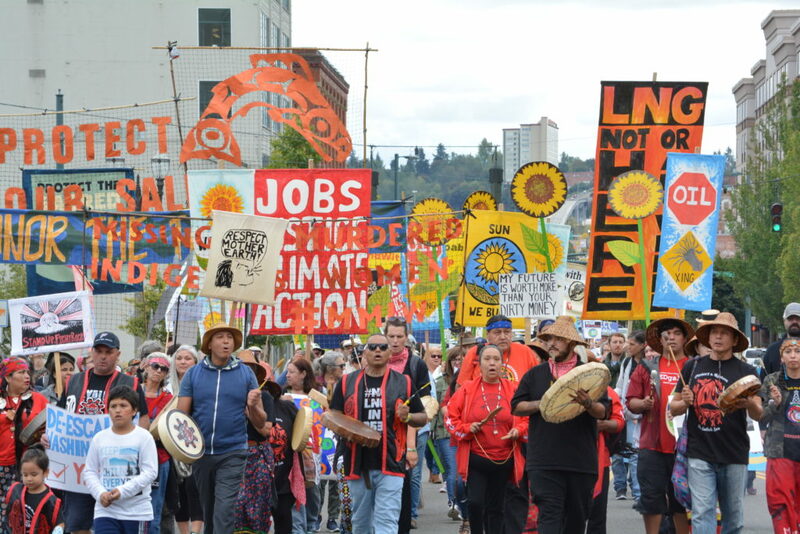 The Pacific Northwest now stands at a crossroads. 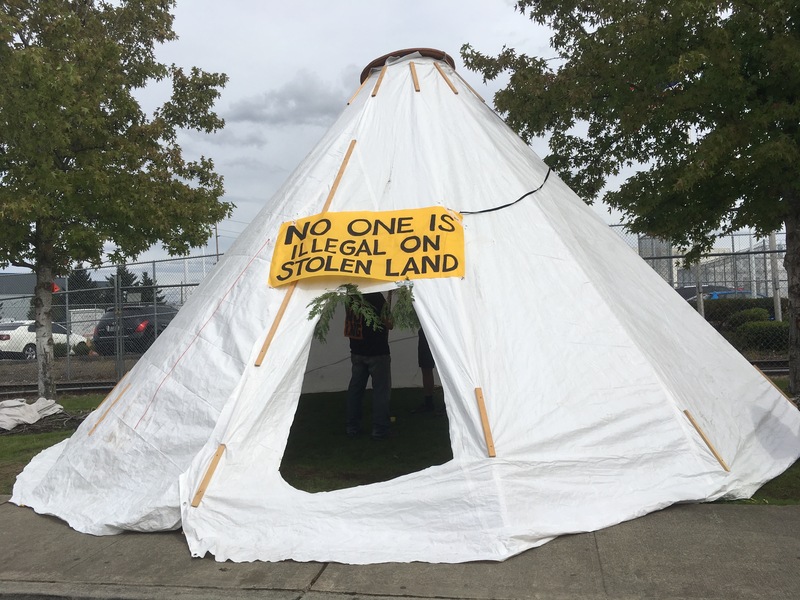 Help us tell the stories of these important community struggles by supporting HOLDING THE THIN GREEN LINE, and help shape the future of our region. SACRIFICE ZONES aired as two half hour programs on over 100 radio stations on the national radio public affairs magazine Making Contact in June and October 2017. 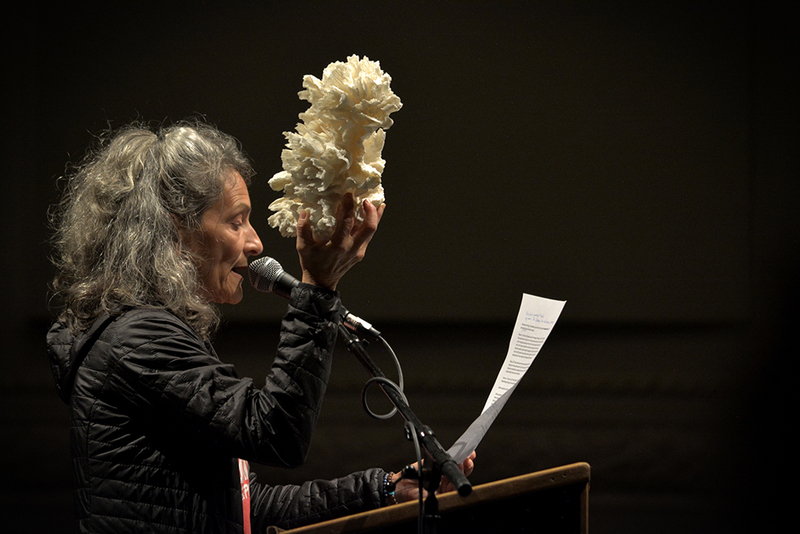 It is also available on PRX as a one hour program. 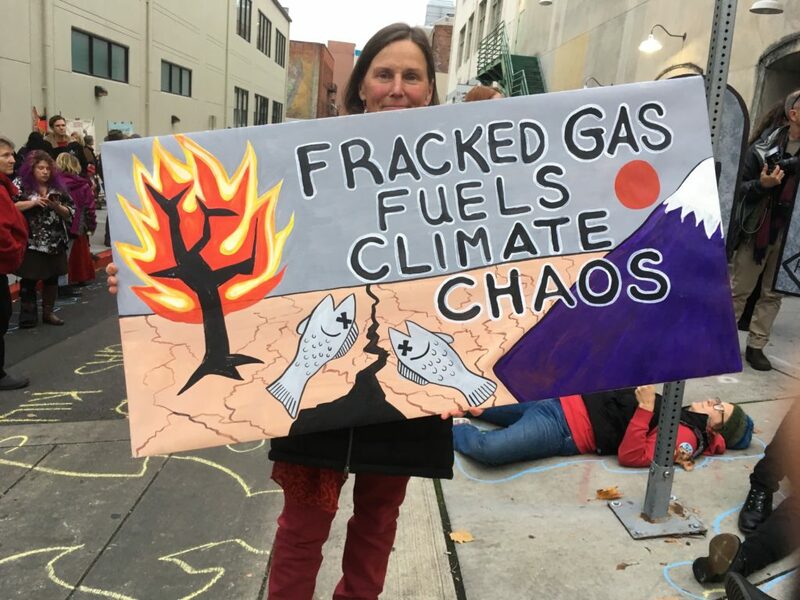 Public hearing on the draft supplemental environmental impact statement (SEIS) for the fracked gas-to-methanol refinery in Kalama, WA. 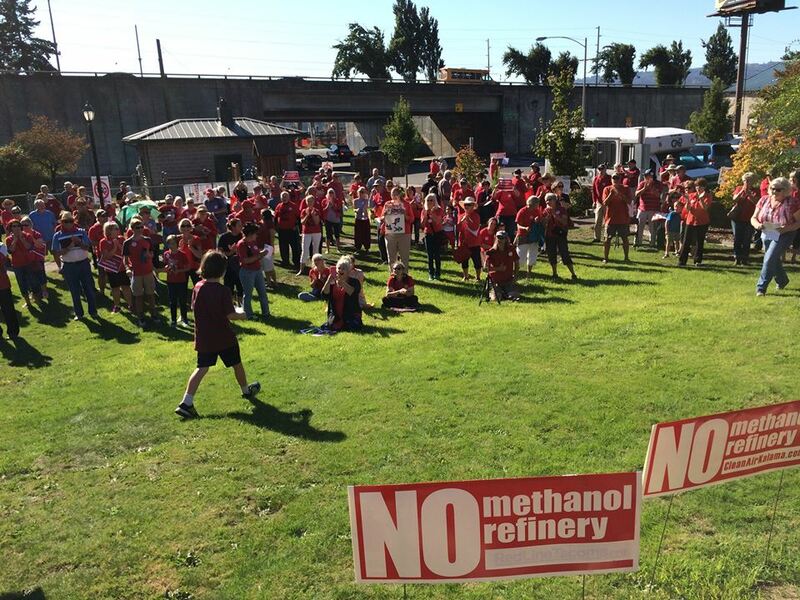 The Kalama methanol refinery would consume a stunning amount of fracked natural gas—one-third as much gas as used by the entire state of Washington. 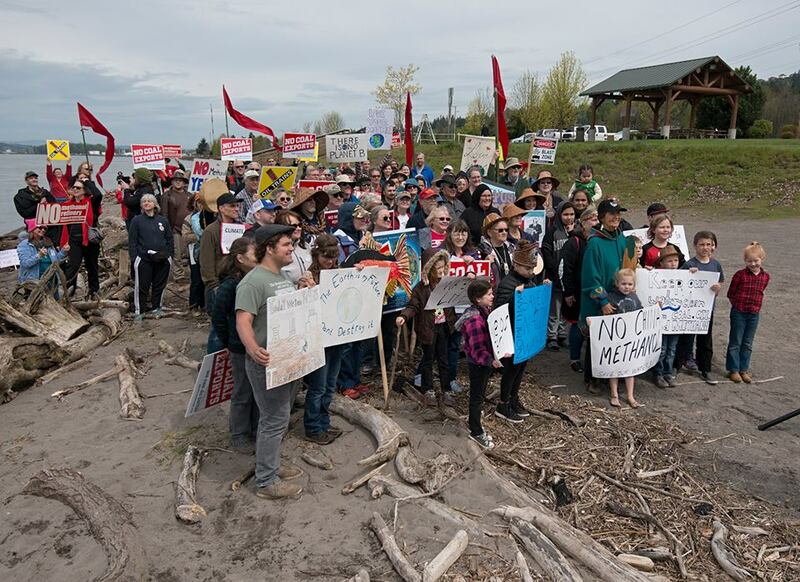 By 2025, the project could become Washington’s single largest source of climate pollution. 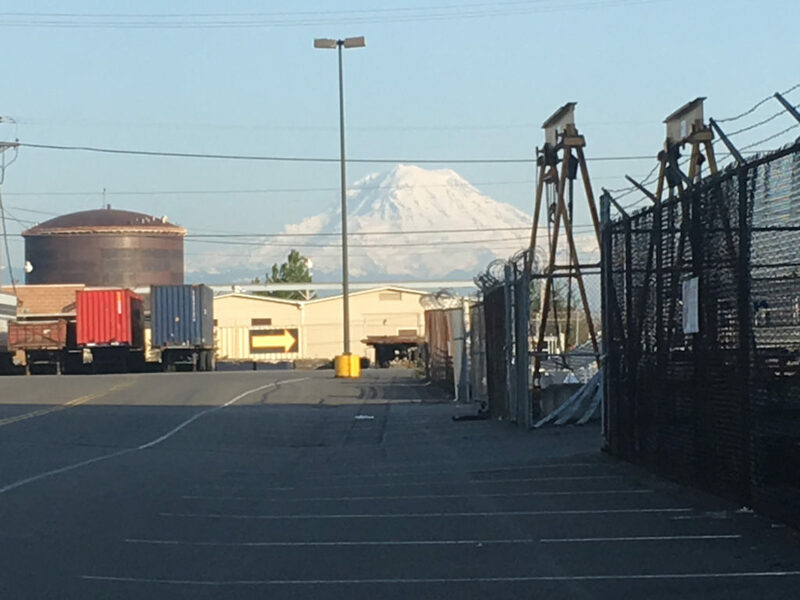 TESORO-SAVAGE OIL-BY-RAIL TERMINAL IN VANCOUVER, WA HAS BEEN REJECTED BY WASHINGTON GOVERNOR! 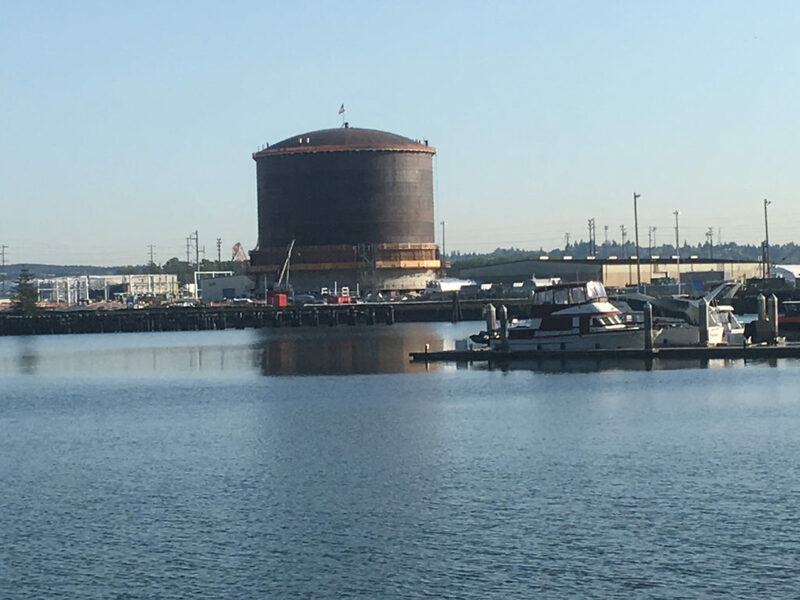 On January 29, 2018, Washington Governor Jay Inslee rejected the largest oil shipping terminal proposed in North America as not in the best interests of the state and its people. 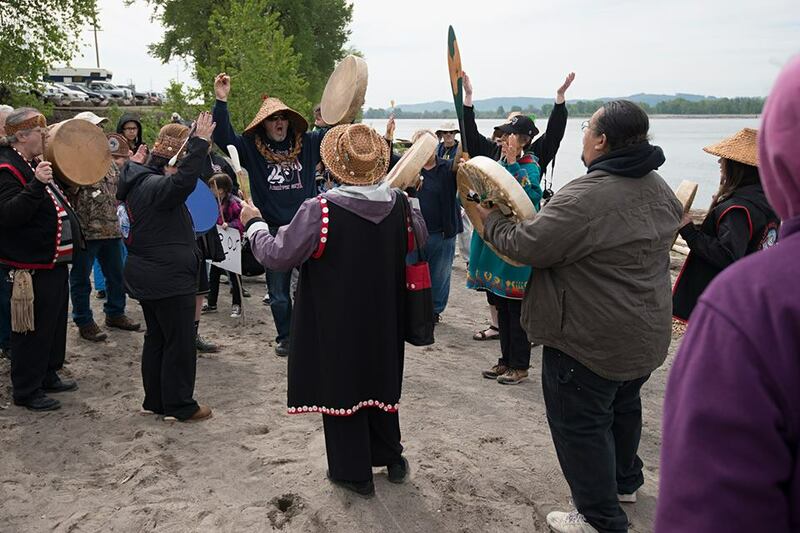 The Tesoro Savage project (also known as Vancouver Energy) sought to ship over 131 million barrels of oil per year down the Columbia River. 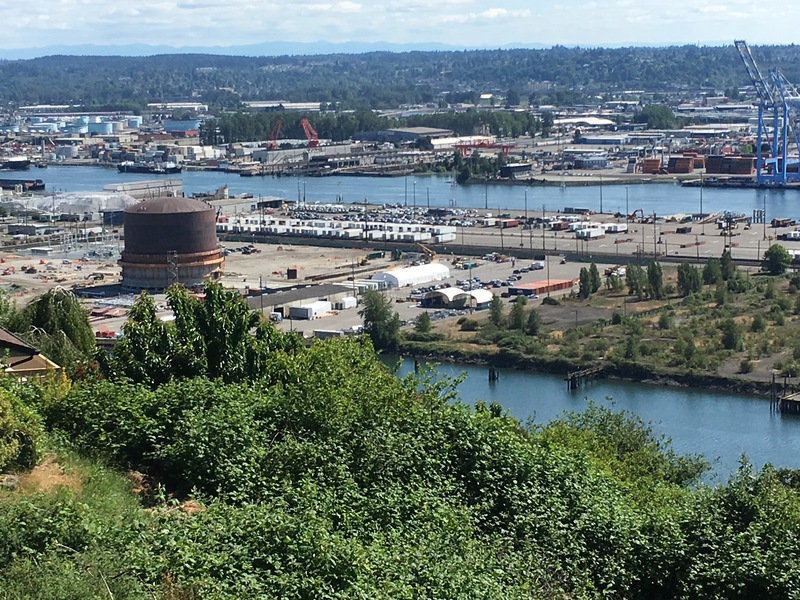 Governor Inslee cited the comprehensive review and recommendation of the Energy Facility Site Evaluation Council (EFSEC), which found unavoidable catastrophic risks from earthquakes, oil spills in the Columbia River and the Pacific Ocean, and the threat of fire or explosion at the facility. 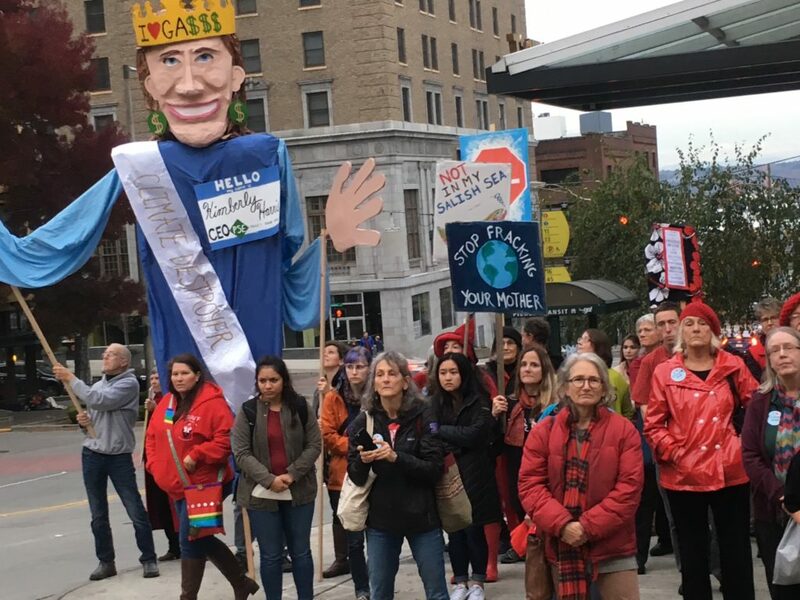 The project would also cause up to five, mile-and-a-half long oil trains to pass through Spokane, the Columbia River Gorge, and the City of Vancouver every day with additional harms to public health and safety and increased climate changing pollution.